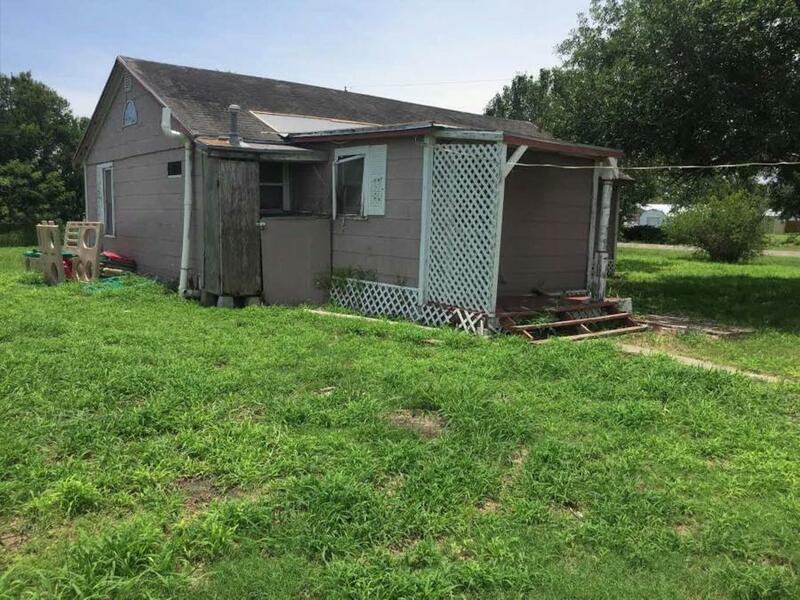 BUY THIS PROPERTY NOW FOR $64,481.18! The seller can pull this property at any time to convey to the mortgage insurer. Williams & Williams has been exclusively authorized to sell it at the “buy now” price subject to the property specific Terms of Sale. (Seller reserves the right to reject a Buy Now offer if required to do so by foreclosure laws or other rules related to the Second Chance program.) Contact 800.986.9420. 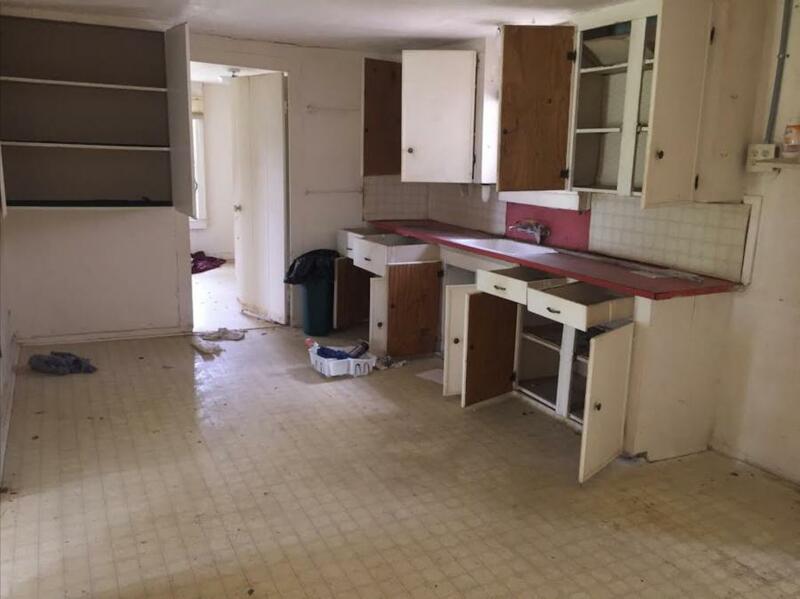 This is a Second Chance sale – Second Chance means it didn't sell to a new homeowner at the Foreclosure Auction. During this Second Chance sale period, the home is discounted below appraised value. This is a limited time opportunity. 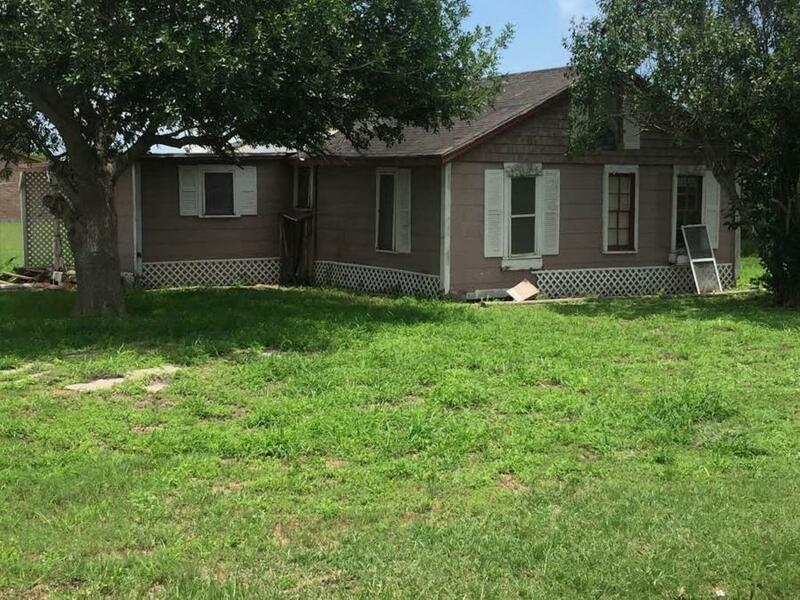 Williams & Williams has been exclusively authorized to sell it at the "Buy Now" price subject to the Property specific Terms of Sale, Disclosures, and Contract for Sale posted on the property specific webpage. • Buyer will not be charged a Buyers Premium or Auction Service Fee. • Buyer is responsible for all escrow and closing fees typically ranging from $750-$3000. It is the Buyer's responsibility to contact a local title agency or real estate attorney for a property specific estimate prior to placing a bid. • Closing must occur on or before 30 days from seller's acceptance of offer. • Buyer is responsible for obtaining possession of the property after closing. • The property is being offered As-Is, Where-Is, without any contingencies. • Seller will agree to transfer title via Special Warranty Deed (or jurisdictional equivalent) if buyer secures title insurance, at buyer's expense, without delaying the closing date. If buyer does not purchase title insurance, Seller will transfer the property via quit claim deed (or jurisdictional equivalent). 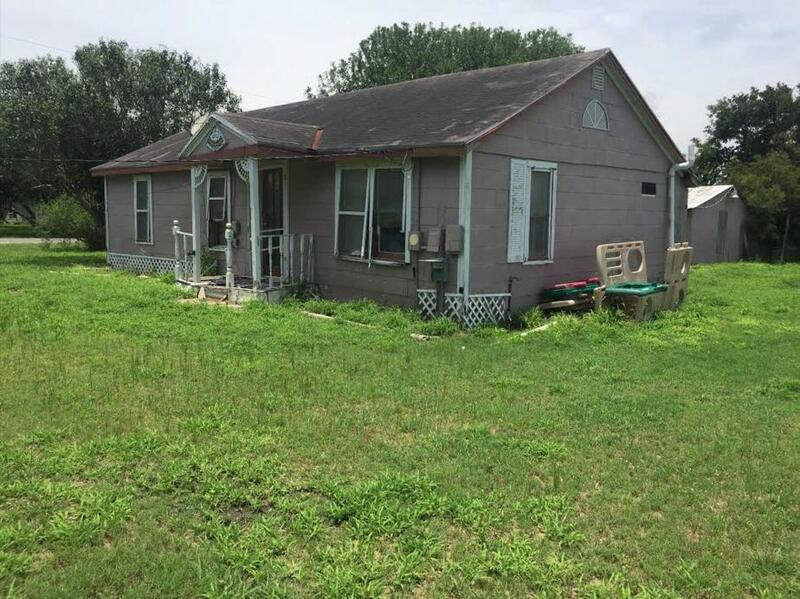 This is a HUD Second Chance home auction – Second Chance means it didn't sell to a new homeowner at the Foreclosure Auction. During this Second Chance auction period, Seller advises the home is discounted below Seller's appraised value. This is a limited time opportunity. Property can be accessed if accompanied by a Realtor. Realtor please call 800-801-8003 for access. Thank you for participating in this Williams & Williams (“Auctioneer”) Online Auction. The auction and conveyance of each property shall be governed by, and your registration (online and/or in person) evidences each bidder’s agreement with, the Contract for Sale at Auction, including all addenda, exhibits, disclosures, and other required documents (together, the “Contract for Sale”) and Sale Day Notes, Disclosures, the Auction Network, LLC Terms of Service, and these Terms of Sale. Each of these documents govern your bid and the sale of each property. The Terms of Sale are non-negotiable and irrevocable. Good luck and good bidding! In order to bid on the auction items, all bidders must have a registered account as a Member of williamsauction.com and enrolled to bid on the specific property in question. There is no fee to create an account, however a credit card is required to verify identification and to pay the bid deposit required (see bid deposit terms below) to bid on some properties. By bidding you are representing to the Auctioneer and the seller that you have read and agree to be bound by all terms and conditions for this sale as stated herein. DO NOT BID unless you have read and agreed to be bound by the Contract for Sale, Sale Day Notes, Disclosures, Auction Network, LLC Terms of Service, and the auction Terms of Sale as they are enforceable against you. 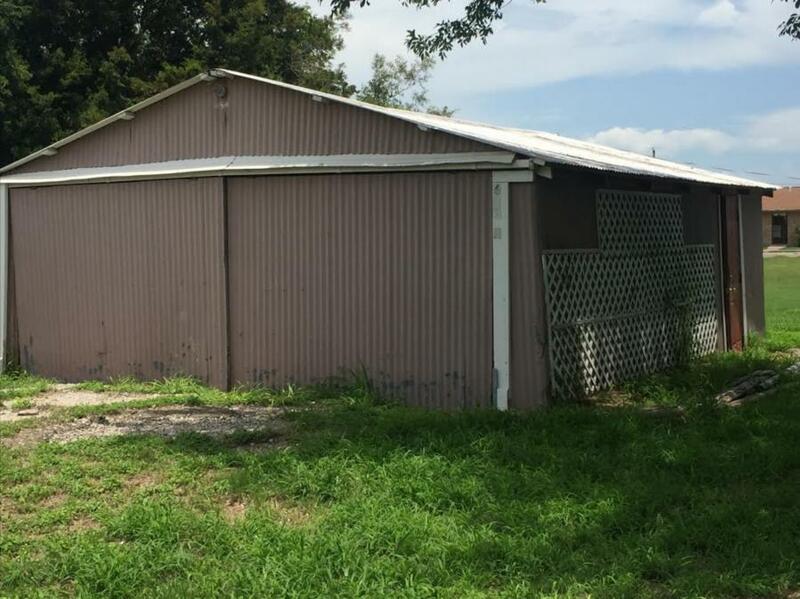 Buyer acknowledges that the Property MAY BE CURRENTLY OCCUPIED. BUYER TAKES TITLE SUBJECT TO ANY RIGHT OF THE OCCUPANTS. BUYER WAIVES ANY RIGHT TO INSPECT THE PROPERTY PRIOR TO CLOSING. 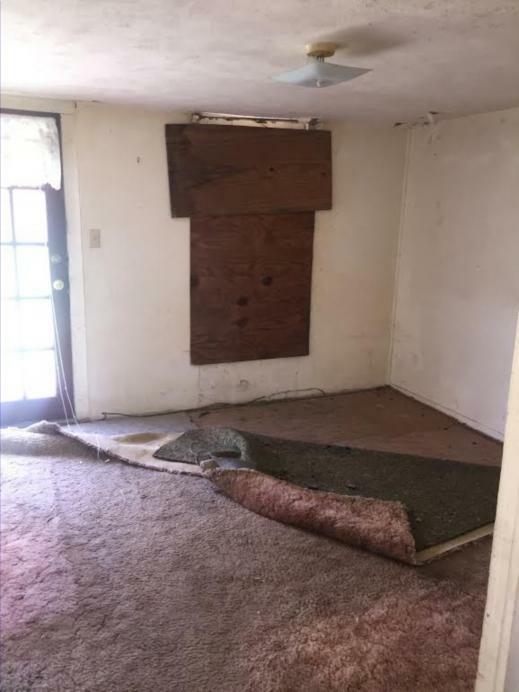 Seller makes no representations as to whether the Property will be occupied at the time of closing, and the Seller shall not be obligated to evict or remove the occupants. Properties may be subject to certain redemption rights of the prior owner or occupants. Buyer shall HAVE NO right to cancel the transaction based upon the occupancy status of the Property and shall remain bound by these Terms & Conditions and the Contract for Sale. Buyer shall be responsible with complying with all applicable local, state, and federal laws with respect to occupied Properties and is encouraged to determine the applicability of same, including, without limitation, the Protecting Tenants at Foreclosure Act of 2009 set forth as Division A, Title VII of the Helping Families Save Their Homes Act of 2009 (the “Act”) and the terms of the United States Servicemembers Civil Relief Act (“SCRA”). 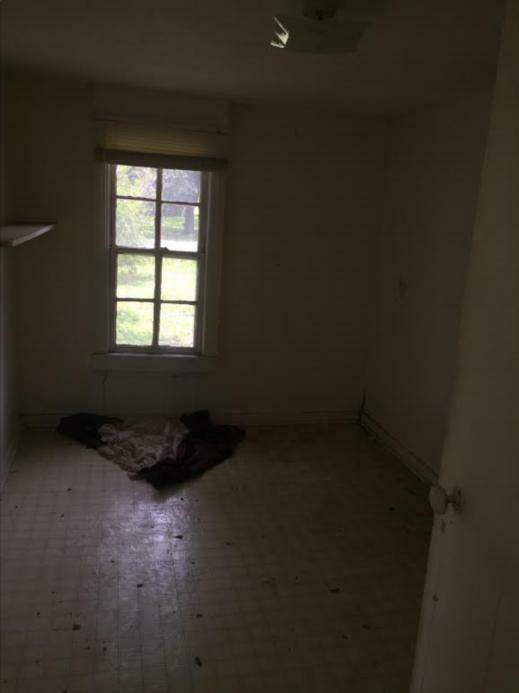 Buyer MUST NOT trespass on the Property or disturb the occupants. THE AUCTIONEER PROGRAM. The sale is controlled by the auction program. Auctioneer is not responsible for malfunctions or system errors which cause a bid or bidder to fail to be recognized or registered. If there is a dispute, the Auctioneer may re-open the bidding at the Auctioneer's sole discretion and shall serve as the sole arbiter as to who is or is not allowed to bid. The Auctioneer reserves the right to group, add to, delete, withdraw, consolidate or break down properties or quantities offered, to sell out of scheduled sequence, to reject any bid which is only a fraction advance over the preceding bid, to regulate bidding and to accept or reject any or all bids. Absentee bids may be accepted at the discretion of the Auctioneer. Any and all decisions of the Auctioneer regarding the order and conduct of the auction shall be final and absolute without liability to any party. Seller reserves the right to cancel or withdraw any property at any time. 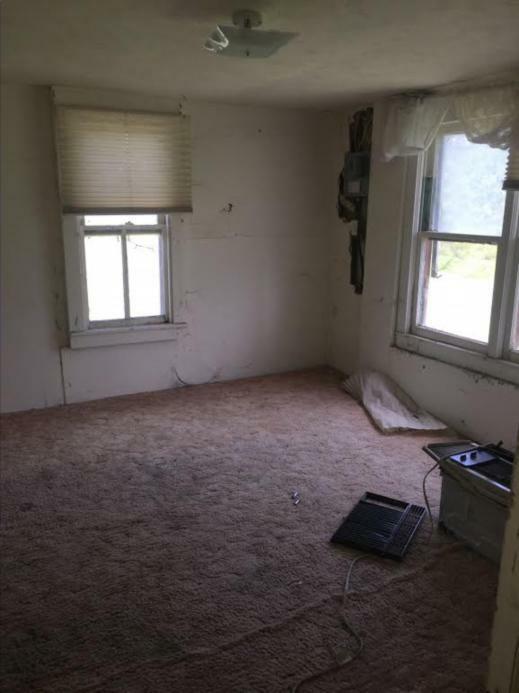 SUBJECT TO SELLER ACCEPTANCE. All auctions are subject to court or seller approval. Most sales are approved within fourteen (14) days. High bidders are not allowed possession until filing of the deed, at which time the property should be re-keyed. "Showing" requests from high bidders after the auction may not be accommodated by the seller. AUCTION PROCESS. Bidding starts at the nominal Opening Bid(s) indicated and is open to all who registered and are approved. The Auctioneer will call the sale and control all increments of bidding. The bidding will continue for a period of three (3) to seven (7) days for each property. The auction ends at a predetermined time with an Overtime Period if necessary, which is defined as follows: if a bid is placed within three (3) minutes of the close of bidding, then another three (3) minute period commences from the time of the last bid until no bids are placed within the next three (3) minutes. The last bid shall be made final. 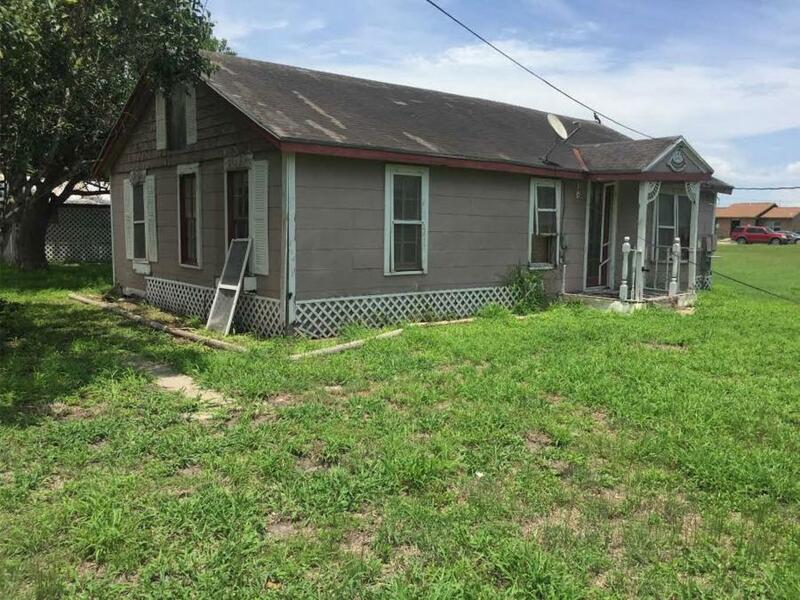 Buyer will NOT pay a Buyer's Premium nor an Auction Service Fee for this property. Closing must occur on or before 30 days from Seller's acceptance of offer. Buyer is responsible for all escrow and closing fees typically ranging from $750-$3000. It is the Buyer’s responsibility to contact a local title agency or real estate attorney for a property specific estimate prior to placing a bid. CANCELLATION; LIQUIDATED DAMAGES. If the high bidder breaches any portion of the of these auction Terms of Sale, or the Contract for Sale and/or fails to return all executed copies of all required documents or the required down payment, the bidder’s high bid offer shall be rejected by the seller and all rights to purchase the property, if any, shall terminate with the seller having the right to offer for sale or sell the property to another without limitation, and the bidder shall pay Auctioneer liquidated damages in an amount equal to the bid deposit held on bidder’s credit card at the time of registration (regardless of whether the bidder actually processed the bid deposit). The bidder hereby authorizes Auctioneer to charge the credit card used to register for the Event in the amount of the hold to satisfy all or part of the liquidated damages owed to Auctioneer by bidder. BIDDER AGREES THAT IT IS EXTREMELY DIFFICULT OR IMPOSSIBLE OR IMPRACTICAL TO ACCURATELY ESTIMATE THE AMOUNT OR EXTENT OF AUCTIONEER’S ACTUAL INJURY OR DAMAGE RESULTING FROM A MATERIAL BREACH OF THIS AGREEMENT BY THE BIDDER, AND BASED ON THE UNCERTAINTY OF SUCH ESTIMATION, THE BIDDER AGREES THAT LIQUIDATED DAMAGES IDENTIFIED HEREIN ARE A PROPER REMEDY FOR BIDDER’S MATERIAL BREACH OF THIS AGREEMENT. THE BIDDER FURTHER AGREES THAT THE LIQUIDATED DAMAGES AMOUNT SET FORTH HEREIN CONSTITUTES A REASONABLE AND SATISFACTORY PRE-BREACH ESTIMATION OF EACH PARTY’S DAMAGES AND SHALL NOT IN ANY WAY BE CONSIDERED A PENALTY OR FOREFEITURE. DOWN PAYMENT. 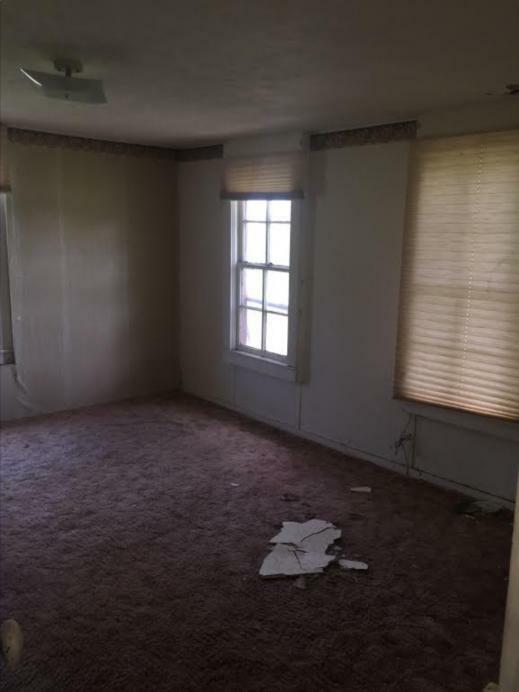 Each high bidder must make a ten percent (10%) non-refundable deposit per property with a $5,000 minimum amount at the conclusion of the auction. If the minimum down payment amount exceeds the Total Purchase Price reflected on the Contract for Sale, the down payment will be modified to an amount equal to the Total Purchase Price. Please review the auction Terms of Sale, Contract for Sale, and/or Disclosures for the required Down Payment amount. Electronic wire funds, ACH Debits, and cashier's checks are the only forms of payment accepted. If you are a resident / citizen of a country outside of the US, certified funds (bank check, wire transfer, certified checks) are required for the down payment and closing. Once the Seller approves the Sale, the down payment will be credited to the Contract. The balance of the purchase price, all closing costs, and the Technology Fee are due at closing. Buyer is responsible for ALL escrow and closing fees typically ranging from $750-$3000. It is the Buyer’s responsibility to contact a local title agency or real estate attorney for a property specific estimate prior to placing a bid.”Deposits will not be forwarded to any title company, or other party, for closing until Auctioneer's financial institution has received "good, cleared funds" for the deposit. CONTRACT PROCESS. Within twenty-four (24) hours immediately following the close of the auction, Auctioneer or Title Company shall contact the high bidder by electronic mail, telephone, or facsimile to provide documents for execution. All purchase documents will be provided to the high bidder and the high bidder will be required to sign and return all purchase documents to Auctioneer via overnight delivery. High bidder shall have forty-eight (48) hours following the auction to return the Contract for Sale and required documents and the required down payment. Failure to return these items in the time-frame allotted shall result in the forfeiture of bidder bid deposit as liquidated damages pursuant to these Terms of Sale and the Auction Network Terms of Service. If you wish to have the purchase documents reviewed by an attorney, please contact Auctioneer PRIOR to the auction and we will provide them to you for review so as to not delay the post auction process. You may also obtain a copy of the pertinent auction and sale documents on our website at www.williamsauction.com. The Contract for Sale and Terms of Sale are not subject to negotiation. CONTRACT FOR SALE DEFAULT. If the high bidder executes and returns the Contract for Sale and other required documents and the down payment, but fails to complete the transaction for ANY reason (including, but not limited to, remitting the total purchase amount), the high bidder shall relinquish ANY right to complete the transaction and shall have no rights or interest in the property, as well as forfeit all down payment monies as liquidated damages to Seller. PLEASE BE ADVISED: Various state statutes give Seller the right to pursue legal action against bidders who refuse to complete transactions. This may include (but is not limited to) suit to compel completion of the sale, and/or criminal charges of fraud or other intentional act. AS IS, WHERE IS SALE. All properties are sold "AS IS, WHERE IS" with no financing, inspection, or other contingencies to sale. Auctioneer represents the seller only and does not inspect properties on bidder's behalf. Bidders must conduct their own due diligence and investigation of each property to determine the suitability of each parcel prior to placing a bid. Bidders must rely solely upon their own investigation and not any information provided by the Seller or Auctioneer. Failure of a bidder to be fully informed on the condition of a property will not constitute grounds for a claim adjustment or to cancel the sale. All the information contained regarding this property was obtained from official county maps or other sources deemed reliable, but is not guaranteed and may be in error. Furthermore, the Auctioneer and Seller DO NOT WARRANT the accuracy thereof. Seller has made no independent investigation of any information provided, and assumes no responsibility for the providing of or absence of any information, whatsoever, or for the accuracy thereof. Read the Contract for Sale and Sale Day Notes to determine the existence of any disclosures, exclusions, representations, and disclaimers. 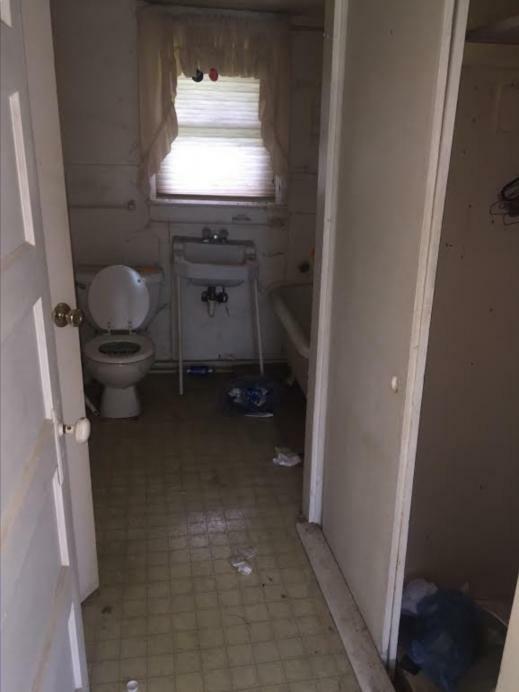 Do not bid if you have not inspected the property(s). By bidding you agree to all disclosures. Buyers receive a deed prepared by or on behalf of Seller without any promise to obtain or provide any form of title policy or title insurance. Buyer’s receipt of a title report or title policy is not a condition of Closing. Any mobile/manufactured housing not legally affixed to the property shall only be conveyed by a Hold Harmless Agreement or Quit Claim Bill of Sale unless otherwise noted in the Disclosures. Current year's taxes are pro-rated through day of closing as is customary. Buyer is responsible for all closing costs. NOTICE: Institutional and Fiduciary Sellers (courts, government agencies, banks and trustees) have not occupied the properties and have NO information to provide for disclosure. Properties are sold 'As Is, Where Is' and should be fully inspected prior to bidding on. ASSUMPTION OF RISK. YOUR INSPECTION OF THE PROPERTY(IES) IS AT YOUR OWN RISK. AUCTIONEER, SELLER, AND THEIR RESPECTIVE AGENTS, CONTRACTORS, AND EMPLOYEES EXPRESSLY DISCLAIM ANY "INVITEE" RELATIONSHIP AND SHALL NOT BE LIABLE TO ANY PERSON FOR DAMAGE TO THEIR PERSON OR PROPERTY WHILE IN, ON, OR ABOUT THESE PROPERTIES, NOR SHALL THEY BE LIABLE FOR ANY DEFECTS, DANGERS OR CONDITIONS ON THE PROPERTY(IES). ALL PERSONS ENTER THE PROPERTY(IES) AT THEIR OWN RISK AND SHALL DEFEND, INDEMNIFY, AND SAVE HARMLESS BROKER AND SELLER, THEIR AGENTS, CONTRACTORS, AND EMPLOYEES FROM ANY AND ALL LIABILITY ATTENDANT THERETO. DISCLAIMERS & NO WARRANTIES. AUCTIONEER AND THE SELLER EXPRESSLY DISCLAIM ANY LIABILITY FOR ERRORS, OMISSIONS, OR CHANGES REGARDING ANY INFORMATION PROVIDED FOR THESE SALES. PLEASE READ THE CONTRACT FOR SALE, AND SALE DAY NOTES FOR A FULL AND COMPLETE UNDERSTANDING OF AUCTIONEER AND SELLER'S DISCLAIMERS. 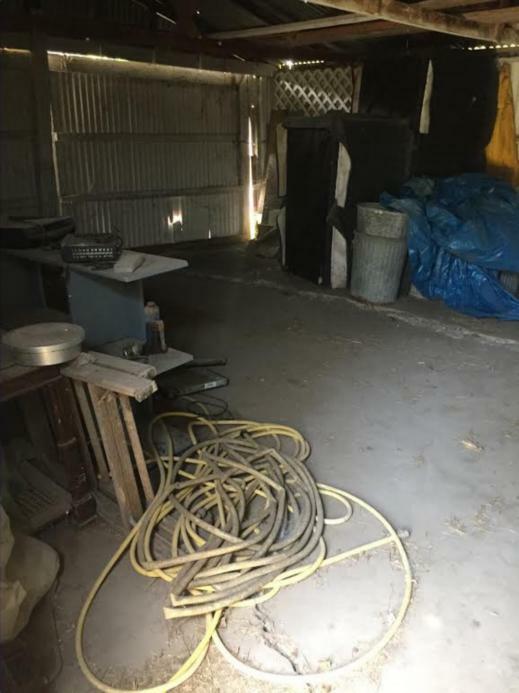 SELLER AND AUCTIONEER HAVE NO KNOWLEDGE OF THE SUBJECT PROPERTY OR ITS FIXTURES OR CONDITION AND ARE NOT RESPONSIBLE FOR SUCH. BIDDERS ARE STRONGLY URGED TO RELY SOLELY UPON THEIR OWN INSPECTIONS AND OPINIONS IN PREPARING TO PURCHASE PROPERTY AND ARE EXPRESSLY ADVISED TO NOT RELY ON ANY REPRESENTATIONS MADE BY THE SELLER OR THEIR AGENTS AND EMPLOYEES. PROPERTY INFORMATION MAY CHANGE WITHOUT NOTICE AND POTENTIAL PURCHASERS SHOULD INVESTIGATE ALL DATA FULLY BEFORE RELYING UPON IT. YOU ARE ENTERING A BINDING CONTRACT. THERE ARE NO REFUNDS OR BID CANCELLATIONS. THE REGISTERED BIDDER IS PERSONALLY RESPONSIBLE, LEGALLY AND FINANCIALLY, FOR ALL AUCTION ITEMS BID UPON WHETHER REPRESENTING ONE'S SELF OR ACTING AS AN AGENT. AN ONLINE BID ACCEPTED AT PUBLIC AUCTION IS A LEGAL AND BINDING CONTRACT. ANY BIDDER WHO FAILS TO CONSUMATE A PURCHASE WILL BE BANNED FROM BIDDING AT ALL FUTURE SELLER AUCTION EVENTS AND MAY BE PURSUED FOR CIVIL AND/OR CRIMINAL VIOLATIONS. down payment funds. Buyer and Seller agree that the Escrow funds may be held in a trust/escrow account located outside of the state where the Property is located. • Financing Disclosure. Buyer acknowledges that property condition or type may adversely impact the availability of financing for said property. Buyer agrees to accept 'as is, where is' and is responsible for all costs and remediation therein. Buyer agrees to accept with no contingencies. 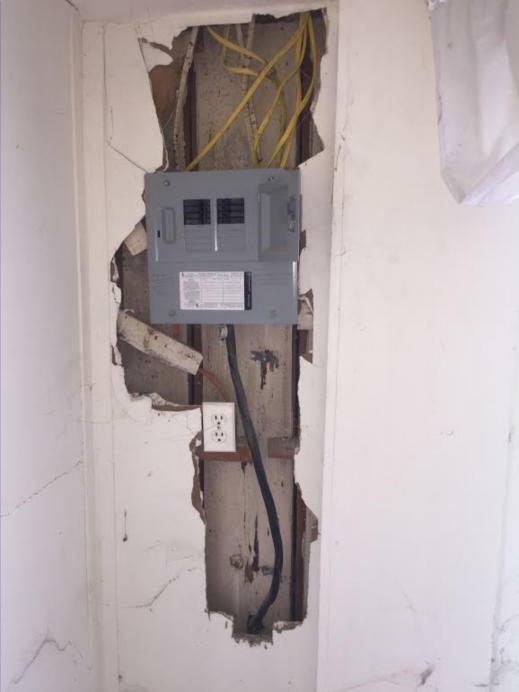 Buyer acknowledges that seller has no obligation or responsibility to reconnect utilities for the purpose of inspection or for any other reason. Buyer further acknowledges neither seller, Williams & Williams, nor its agents make any assertions or guarantees as to the condition of said property or that utilities, plumbing, or fixtures therein will meet any financing guidelines. Buyer is encouraged to perform an independent inspection. • Closing must occur within 30 days from seller acceptance.